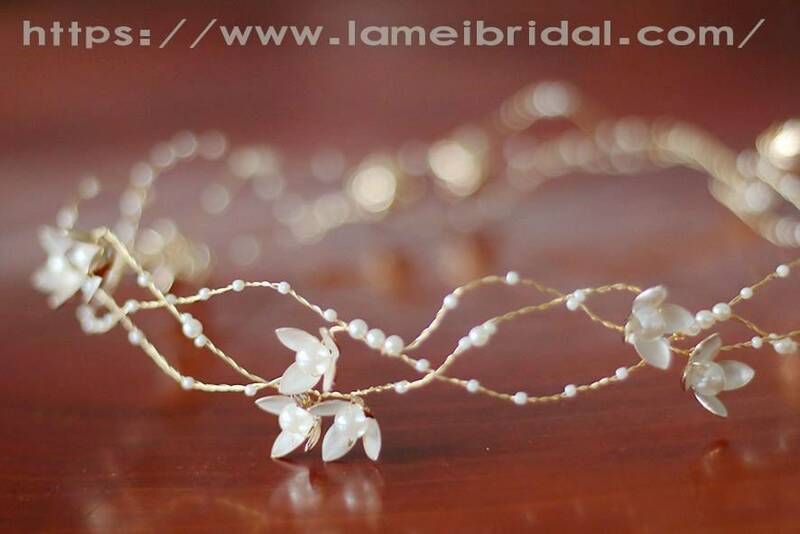 This versatile piece can be worn in a variety of hairstyles. 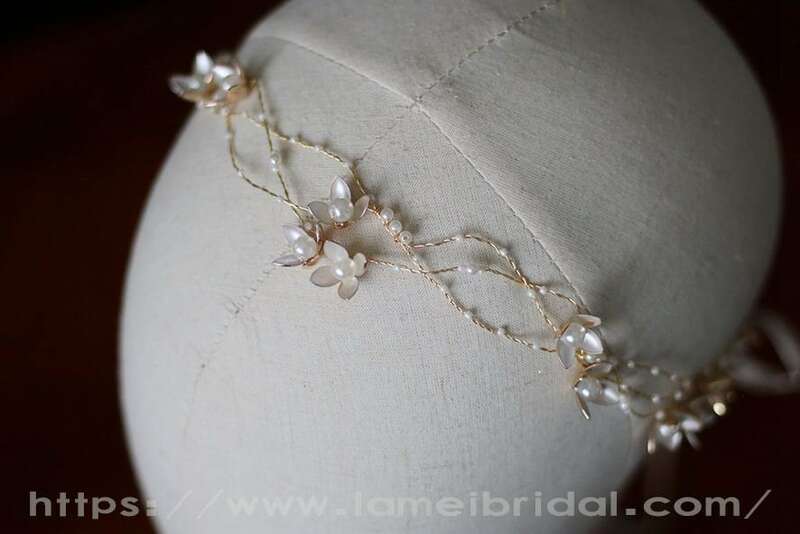 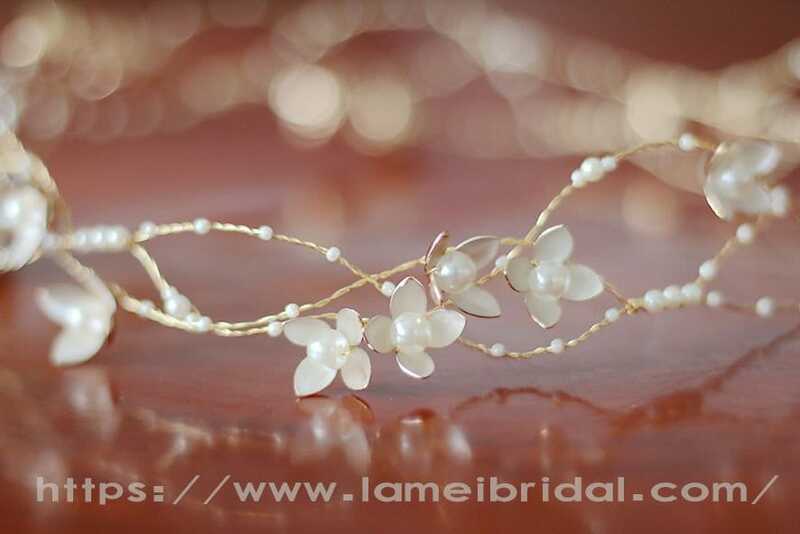 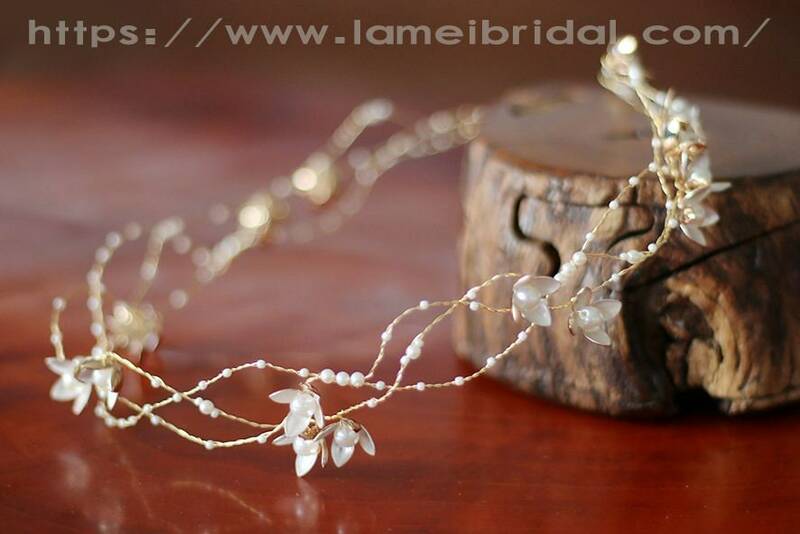 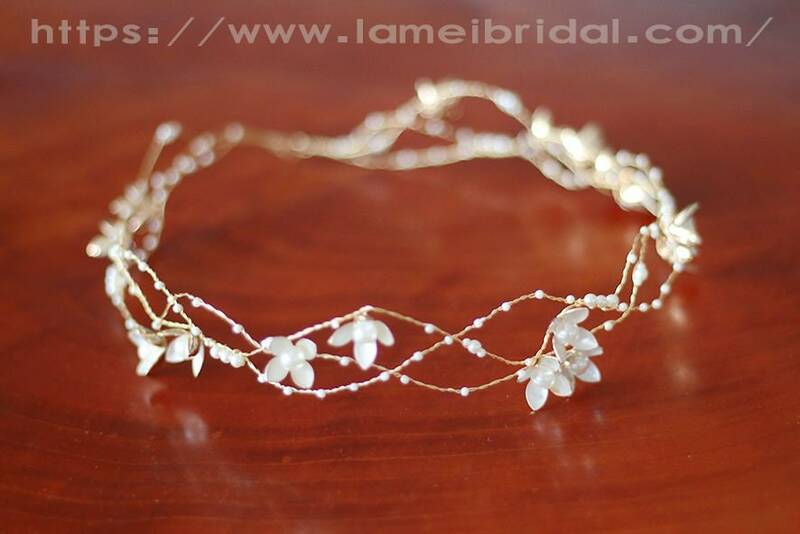 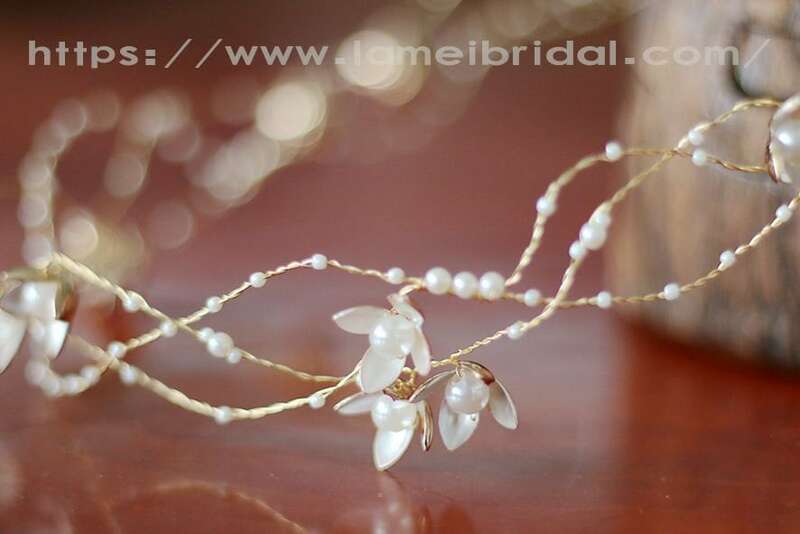 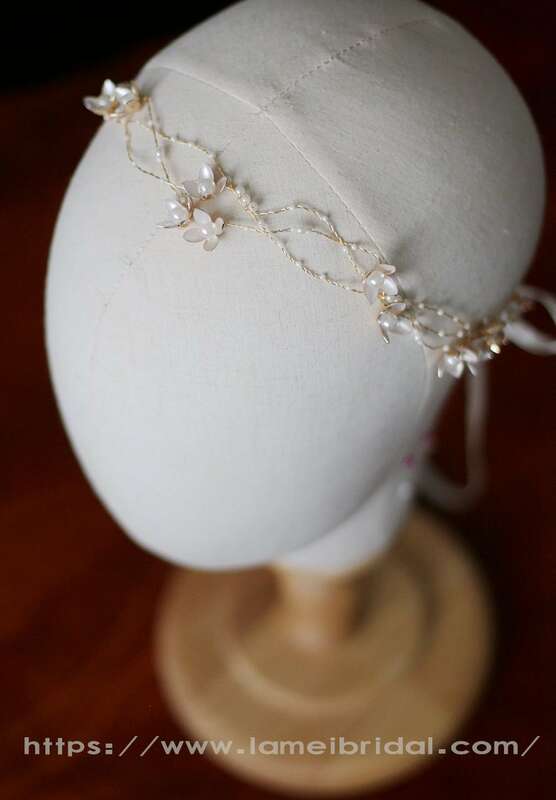 Embellished with genuine freshwater pearls, faux pearls, rhinestones and seed beads. 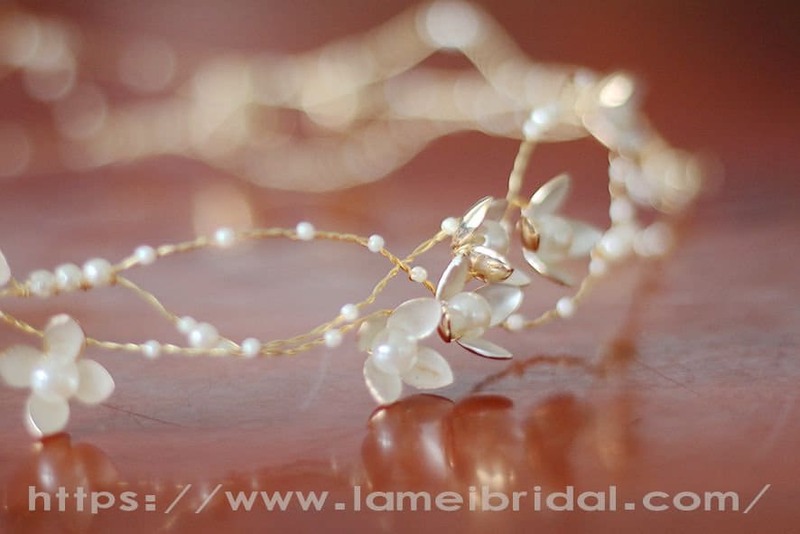 The wire is flexible and easy to shape. 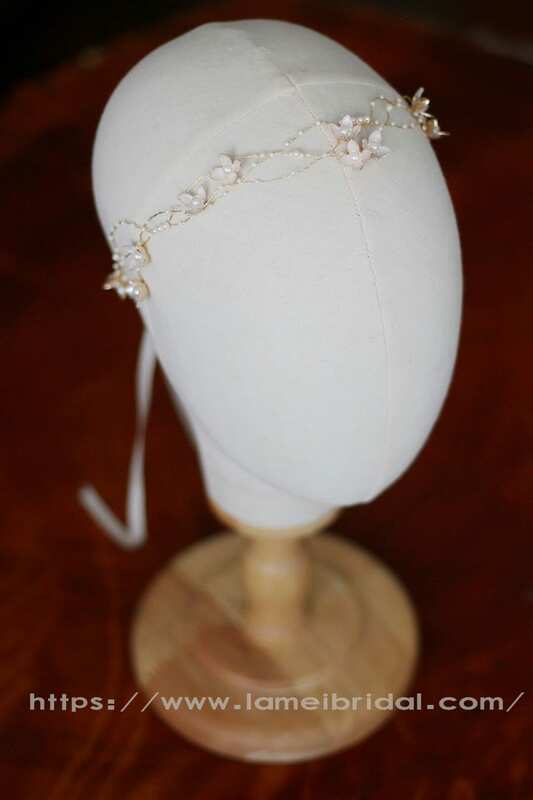 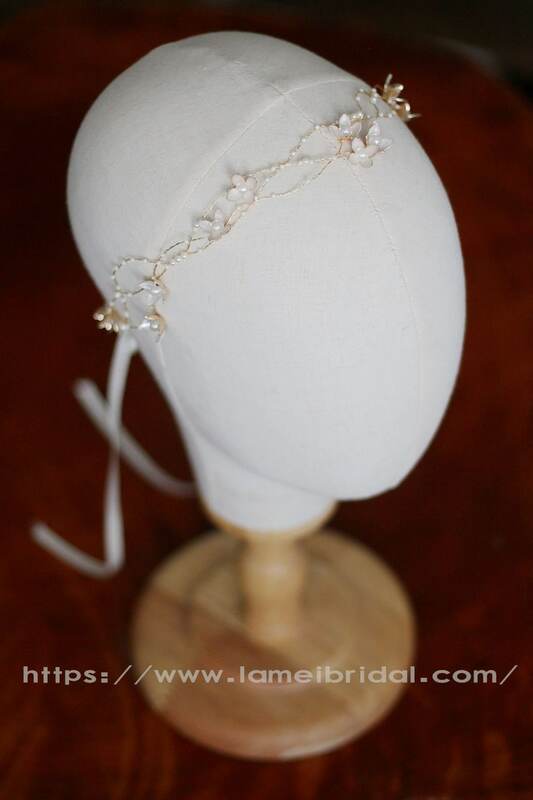 It has satin ribbons at each end for attaching it to you hair, or if you wanted to it can be worn without the ribbons and bobby pinned into place.